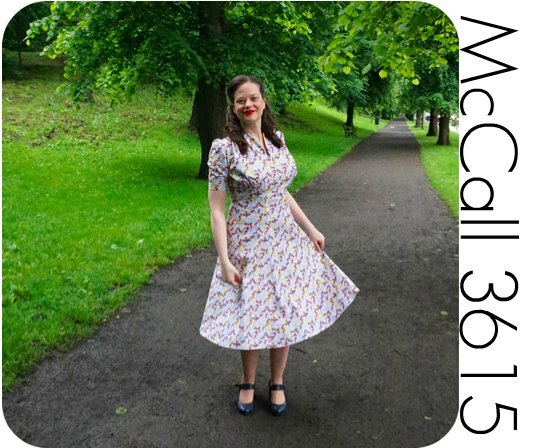 McCall 3615: "The 1940 Sears Catalogue Replica Dress"
I am beyond excited to show you my latest make, McCall 3615 which I am calling "The 1940 Sears Catalogue Replica Dress". The original inspiration came from a page in the 1940 Sears Catalogue. I fell in love with the fabric and David recreated it in Photoshop from the not very good quality photo below! See his post here on the design process. I then got the design printed on cotton satin fabric through an amazing new fabric printing service in the UK called Contrado. 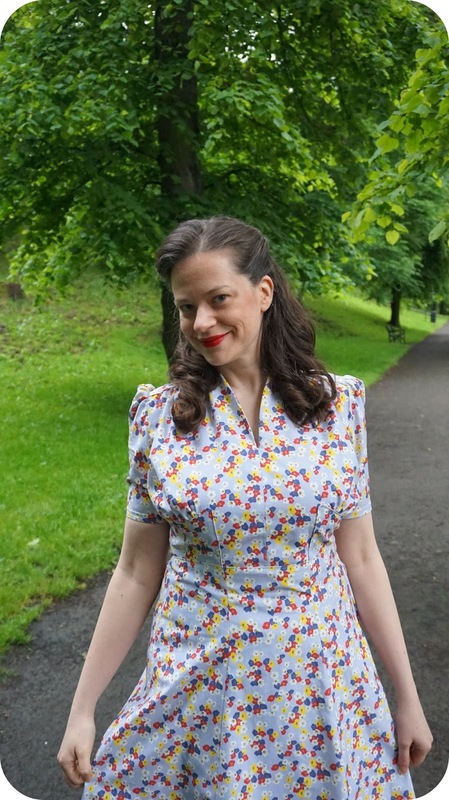 They are a great company because they don't have a minimum order size, they are based in the UK and are family run, they have an amazing array of fabric choices and they are going to start carrying other products that you can print on as well (hello shoes!) I am beyond excited to start doing lots of replica outfits with this new service! 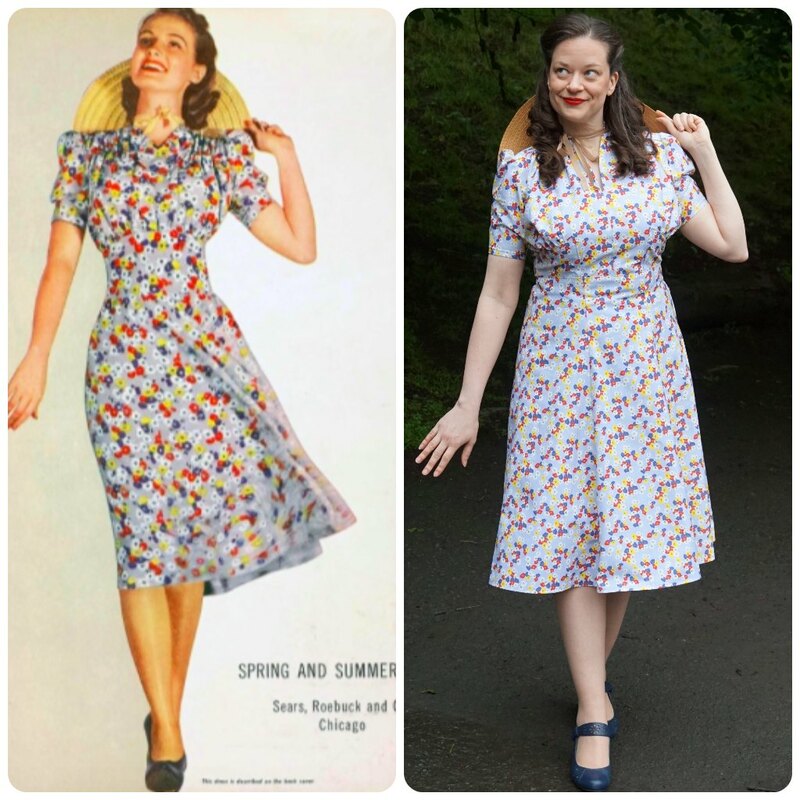 I used McCall 3615 as it was the 1940 pattern that was the closest match to the original dress design . 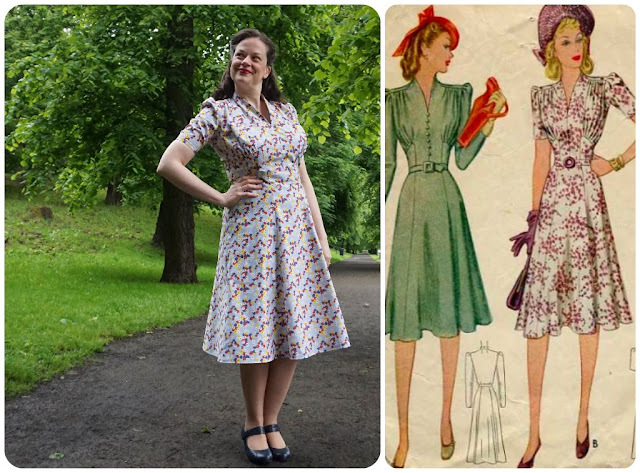 It features gathers and overlapped seams on the bodice shoulder front, a really interesting waist detail, a great high side neck as well as gathered sleeves. Here are some close-up shots of the fabric and pattern details. I just love the fit of the dress and the fabric design! I am also happy that I managed to line up the bodice lines with the seams in the skirt front. Here's the back of the dress which is pretty basic. 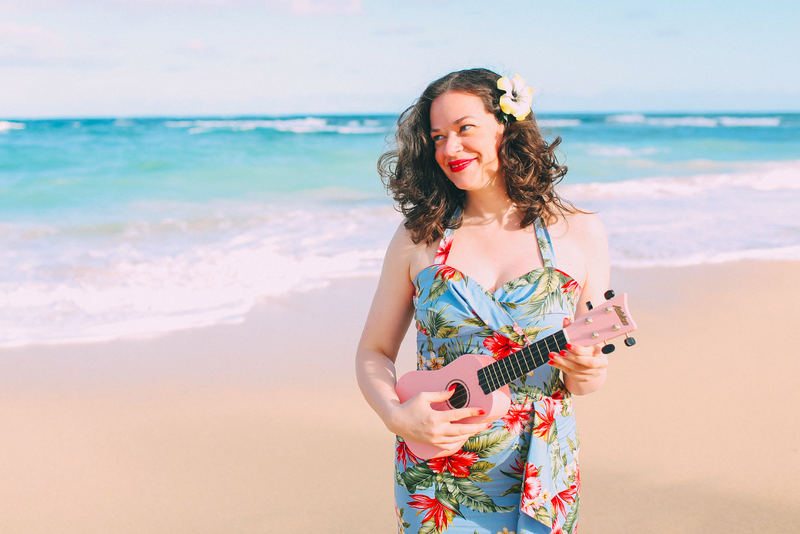 I probably could have made the bodice back slightly shorter but I'm also not standing up perfectly straight. Isn't this hat fabulous? I found it at a vintage store in Portland last year. 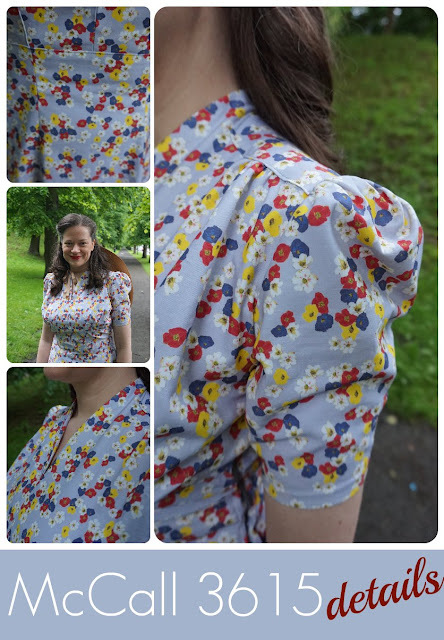 One of my favourite things about this pattern is the neckline. I just love the ever so slight high-neck look. I would love to make this dress in a plain fabric as well so that the bodice details would really jump out. YAY! So very happy with my new make. The fabric is a perfect weight and cool because it is cotton but also has a nice soft hand with the satin and is a dream to sew. I plan to print many more fabric designs! What about you? 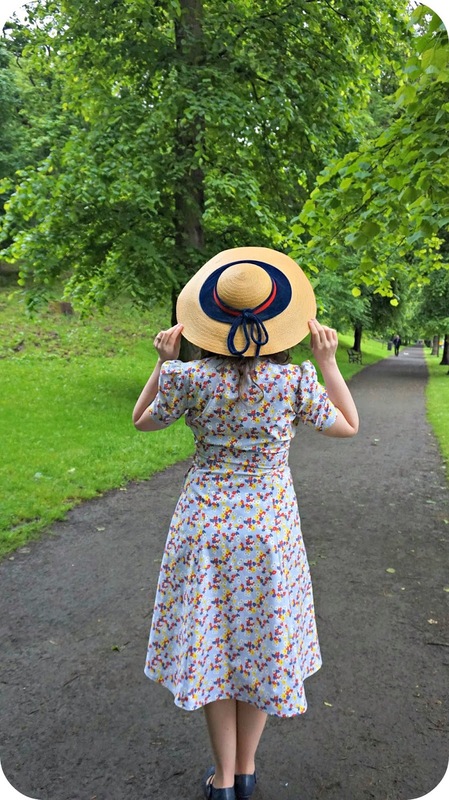 Have you ever thought of printing your own fabric? 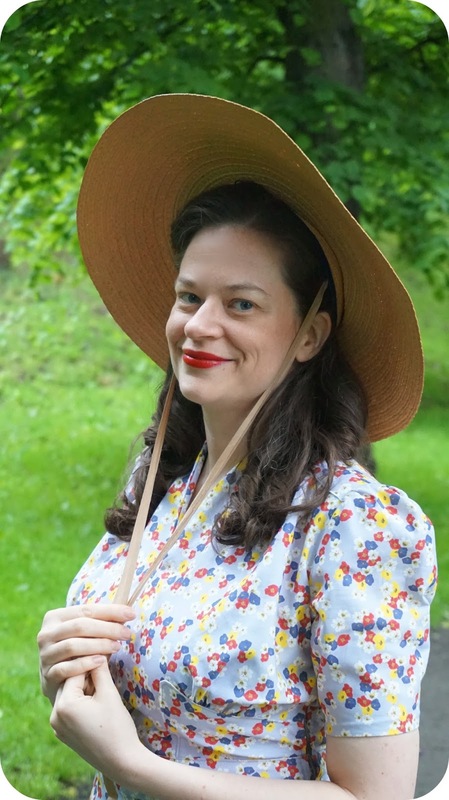 Butterick 5209: The "Garden of Dreams Dress"
McCall 3857: The "Kathmandu Valley Blouse"